We fell in love with this long line shirt from Persona by Marina Rinaldi and we know you will too. Cut from a beautiful silk crepe to a flattering classic design, it will make a great addition to your trans-seasonal wardrobe. 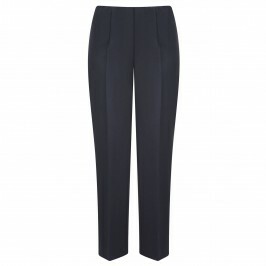 Team with navy trousers for an effortless weekend ensemble. Long sleeved button-up silk shirt with optional belt to fasten in the back. 100% silk. Dry-clean only.